Bloom: Pink Double/Triple. Finishing with dense, round bouquet of blooms. 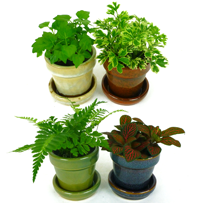 Foliage: Darkish-Medium green, quilted, serrated, slightly pointed. AVSA # in-progress. 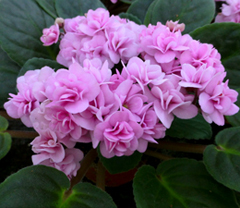 Not your average pink double, these unique blooms are often triple, with over 20 petals. 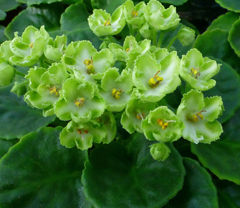 Her rich green, red-backed foliage is in perfect harmony with the bright pink bloom color. The flowers feature thick, rounded petals that resemble a miniature rose. 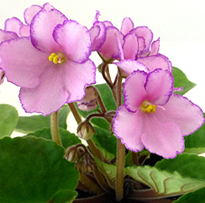 Ingrid's bloom center often has a symmetrical, decorative shape that makes her an exquisite new addition to the Rhapsodie series of violets and it was just voted "2016 Best Potted New Plant" by the Society of American Florists! Since I got Ingrid for Mother's Day, it has never been out of bloom. 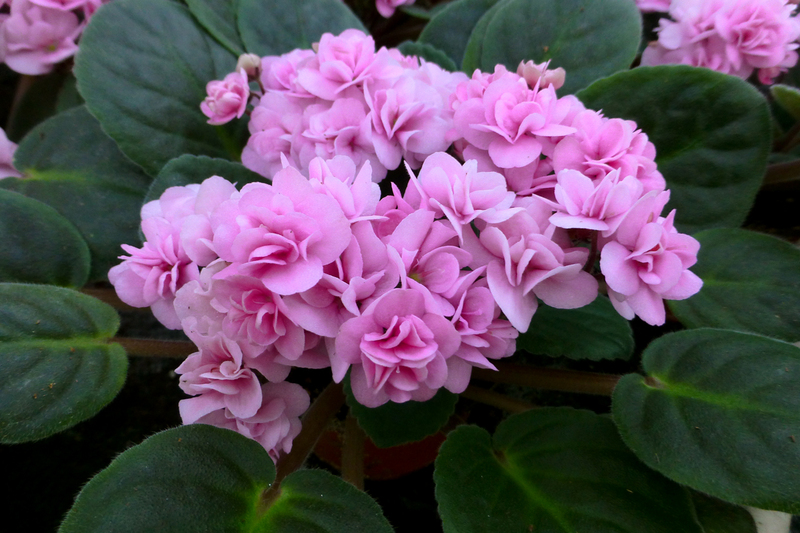 There are always pretty pink flowers resembling roses on the symmetrical, easily cared for plant. 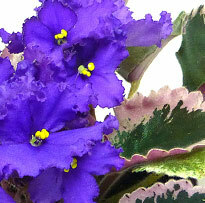 Absolutely a lovely violet. 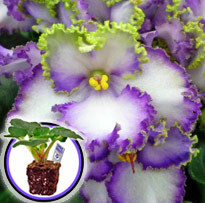 I have Ingrid - my favorite of all my violets! The blooms look like little roses, so beautiful. This plant arrived about a month ago, and it already had a mass of blooms. It looks just we see in the photos. Blooms are long-lasting. I was surprised to discover that these are female-only plants. There are no pollen sacs. A beautiful plant overall.